Bankside is that part of the south bank of the Thames stretching eastwards from the borough boundary with Lambeth just past the London Television Centre. The name comes from the disused Bankside power station, about halfway along the reach towards London Bridge, which has now been refurbished and reborn as the Tate Modern art gallery. Almost adjacent is the reconstructed Globe theatre, which stands only a few hundred yards from the site of Shakespeare's sixteenth-century original. 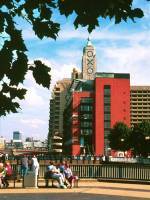 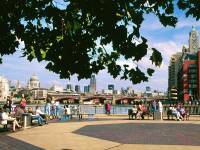 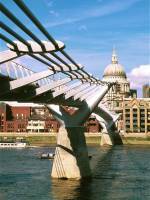 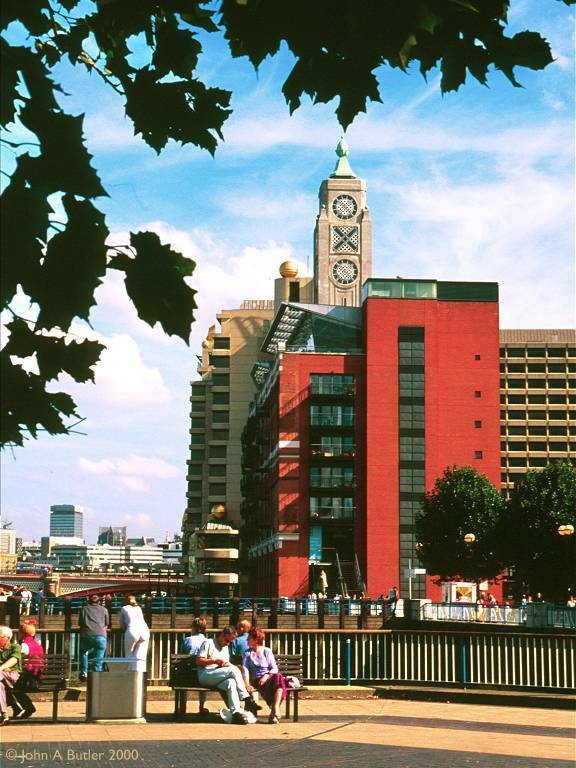 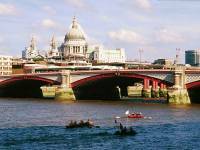 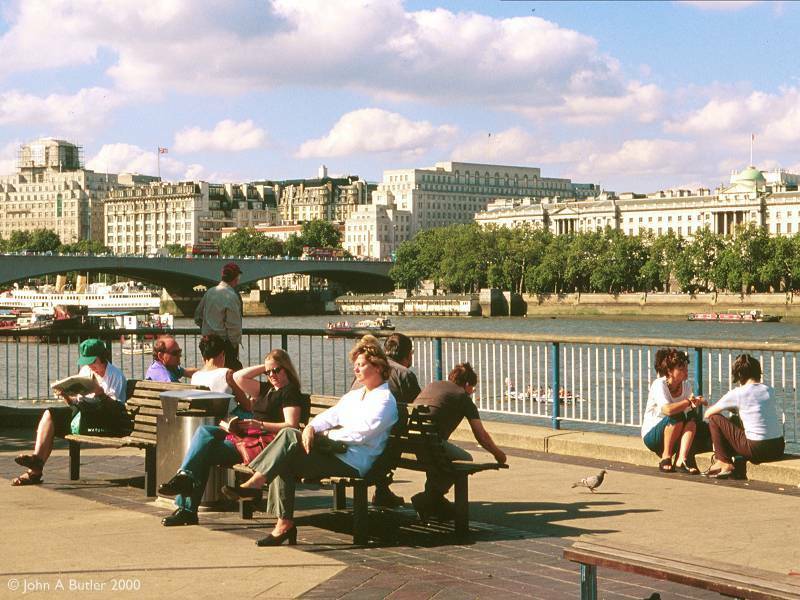 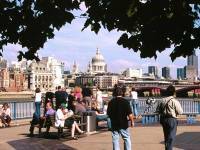 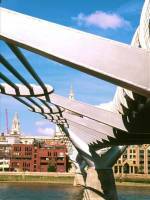 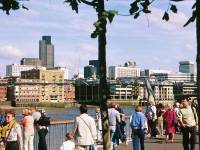 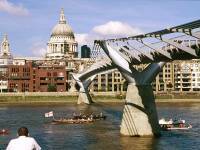 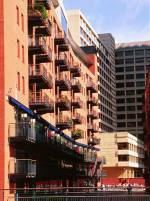 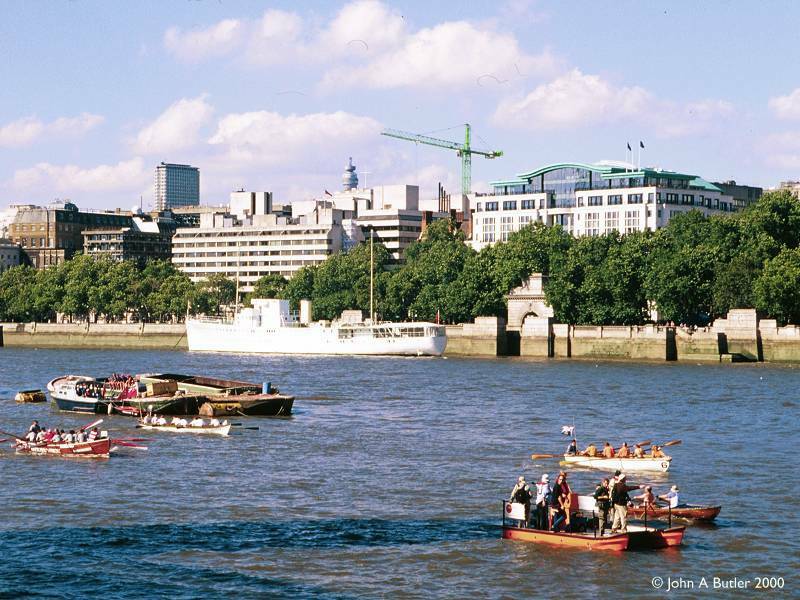 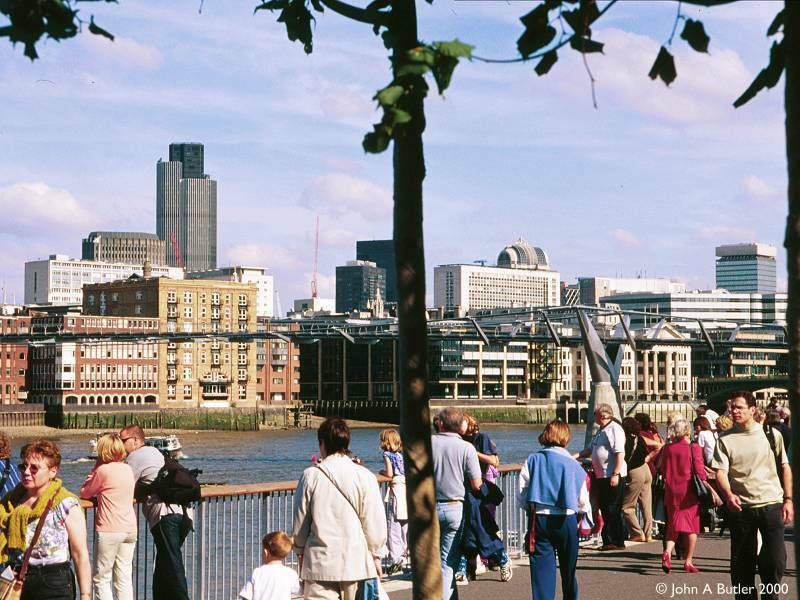 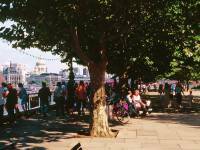 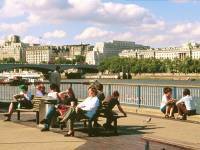 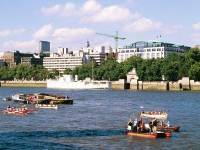 Along Bankside (which, for the purposes of this web page, extends as far east as London Bridge) there are many other items of interest to the visitor, including the prison museum in Clink Street, the OXO building and Southwark Cathedral. 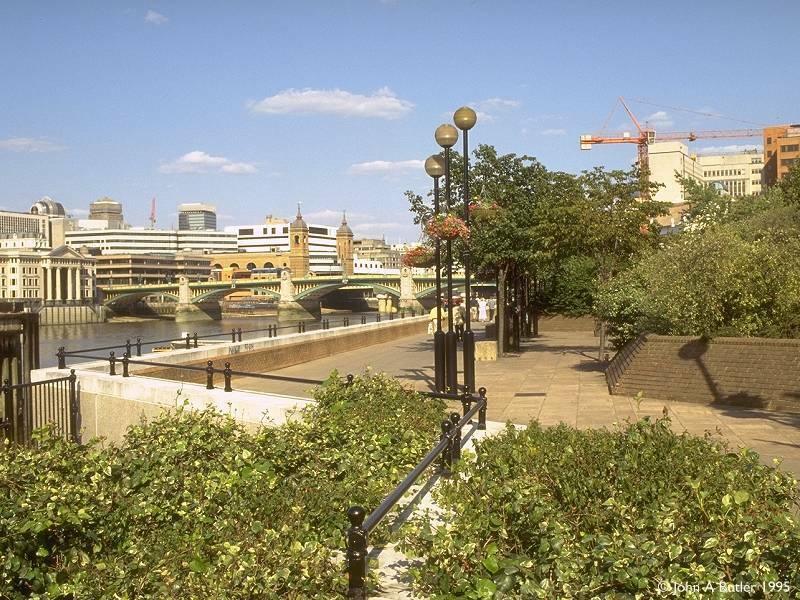 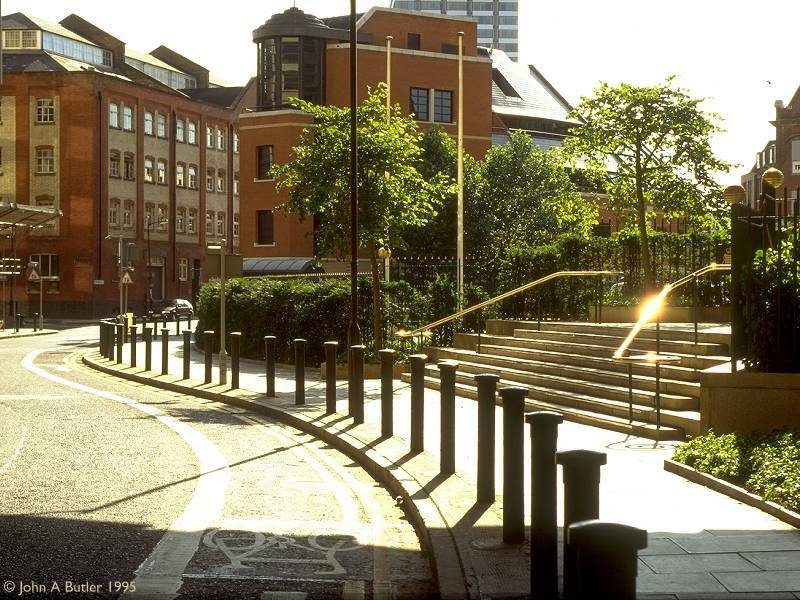 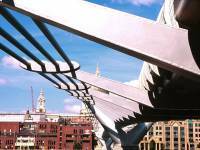 The area is a fascinating mix of the old and the new and is steeped in history - this part of Southwark is as old as the Roman city across the river and functioned originally as its pleasure grounds. 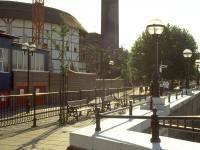 There were inns here, and brothels, and theatres (theatre-going was seen as a somewhat downmarket activity in medieval times) and places where sports such as cockfighting and bear baiting would have taken place. 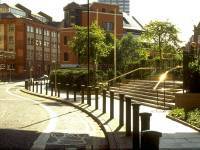 Despite being the "seamy" side of medieval London, it was also the site of Winchester Palace. 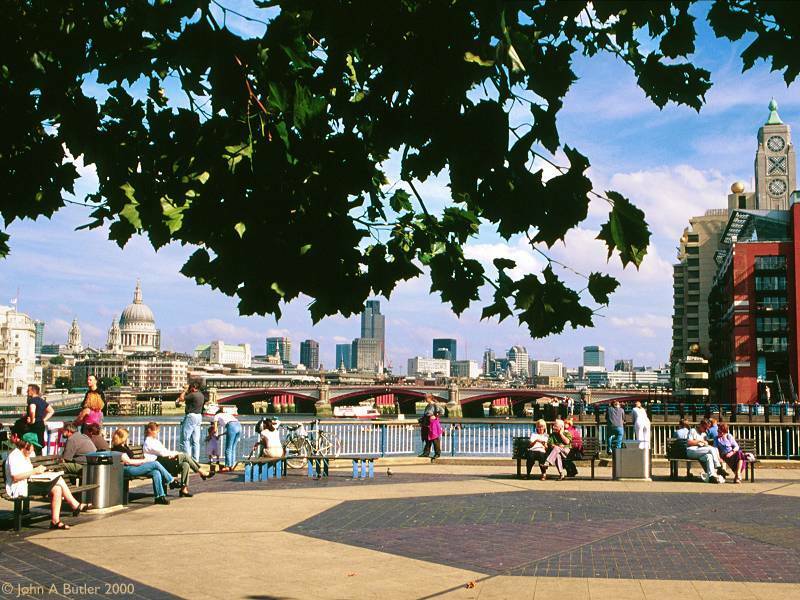 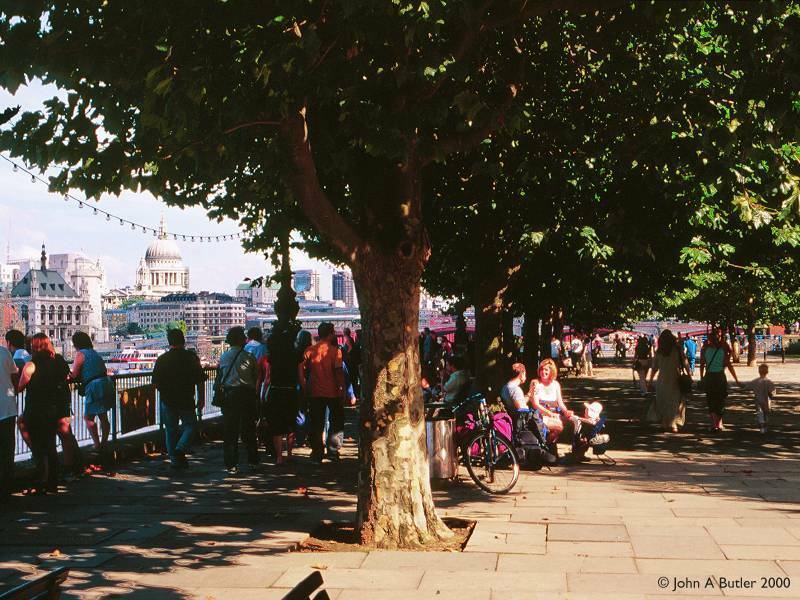 Bankside is linked together by the Thames path, parts of which have only been completed within the last handful of years. 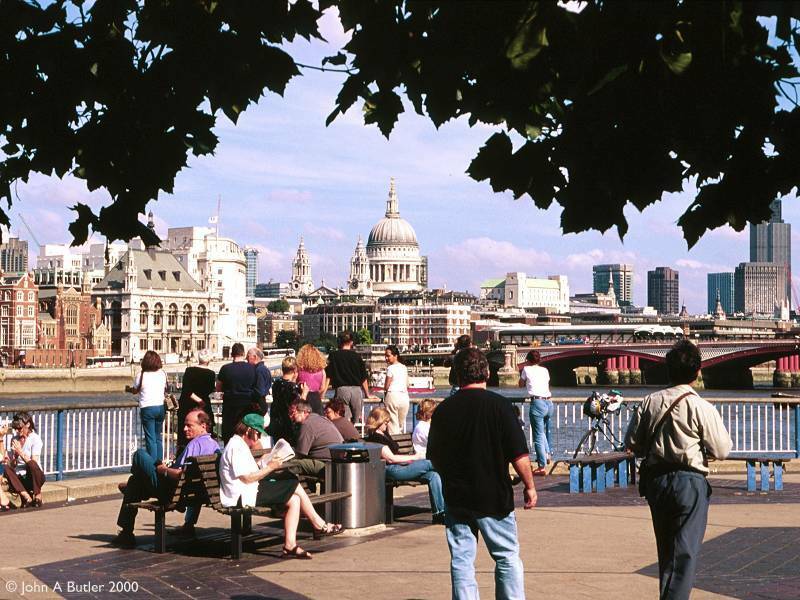 The vistas of the City of London across the river are splendid. 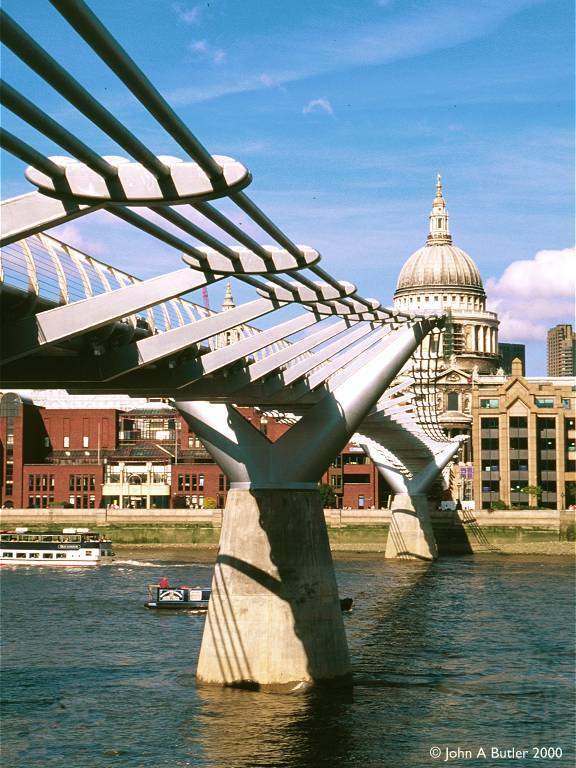 From Bankside itself the Millennium Bridge - conceived as a "blade of light" and London's newest river crossing - stretches across the Thames towards St Paul's Cathedral. 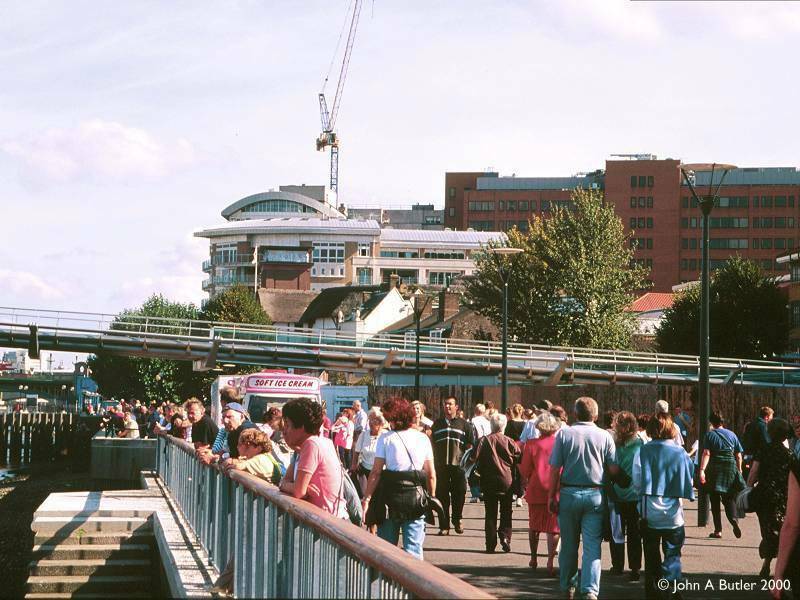 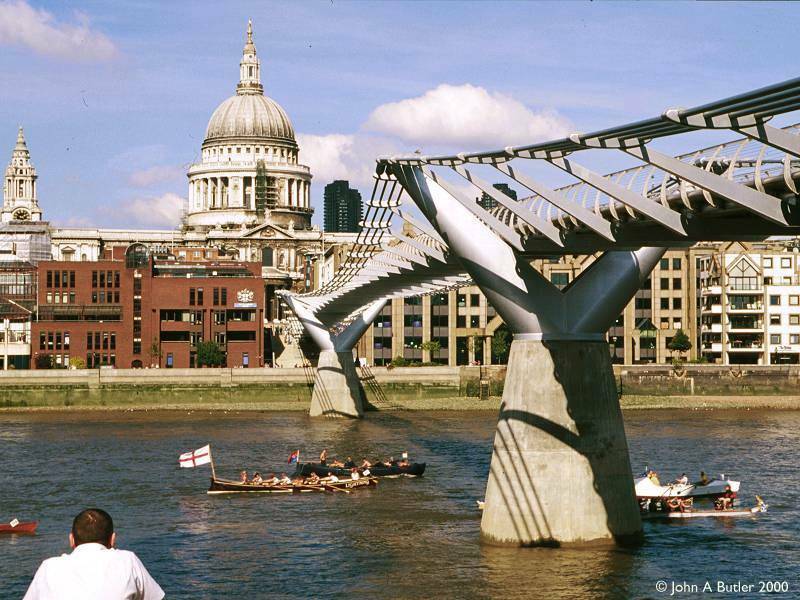 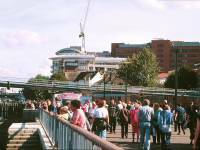 Unfortunately the somewhat flexible construction of a pedestrian suspension bridge was a novelty to most Londoners, who dubbed it the "wobbly bridge" and it was closed to the public for strengthening within days of opening. 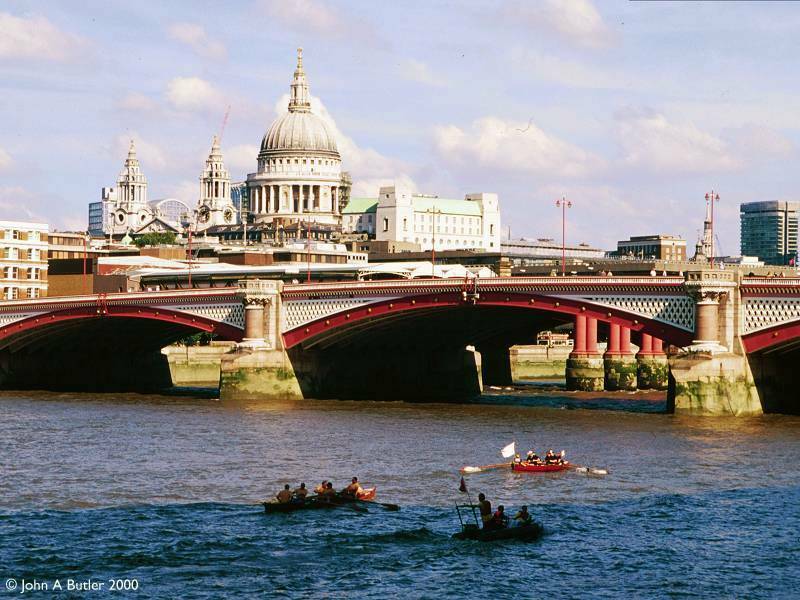 It reopened, newly dampened and without its infamous wobble, in March 2002.